Gallery Talk: 6:30 pm on April 3rd. Joseph Maniscalco’s sphere of influence and legacy starts with his long career, spanning five decades and extends to his own family, as well as to the many successful artists working today who had the privilege of studying with him. His teaching and philosophy have influenced numerous artists, who now are enjoying a resurgence of realism. He was the consummate professional, believing an artist should be paid for his talent and hard work. He believed in craft during a time when it was considered passé. Maniscalco was the standard bearer for representational work during the 60s and 70s, when it was put to the curb by the Avaunt Guard. The timeless nature of his work assured it would endure through all the fads, fashions and movements which swept through the art world during his long, illustrious career. His work was not just about skill and craft. There was poetry and depth in the characters he portrayed, both in his commission and non-commission work. His work is inimitable in the way it captured a sense of communion with whatever subject he chose to focus, whether a landscape, still life or portrait. His life gave meaning to the words “working artist.” Art was his life, not just his living. It was his life blood. He raised four children on what he earned and made a difference in many lives by empowering them to become professionals as well. Other Maniscalcos featured in this exhibit are Robert, his son, who is going on 35 years as a professional portrait and gallery artist. Meredith, his granddaughter, recently graduated from Adrian College in ceramics, winning statewide honors and distinguishing herself as a fine sculptor. Kay, his daughter in law, received training from the master and has developed a distinct style and sensibility in her work. This exhibit is dedicated to the loving memory and legacy of this great artist, family man and humanitarian. Joseph Maniscalco was born in Tampa, Florida, the son of Michaelangelo Maniscalco. At the age of nine he moved to New York City. When he was fifteen he found a one dollar bill on the floor at Macy’s art material department which enabled him to purchase his first set of oil paints. He went on to receive his training in art as a scholarship student at the famous Art Students League in New York City. His abilities as a portrait artist were recognized by Twentieth Century Fox Studios where he painted portraits of movie stars for their posters. In 1953 he moved to Detroit, Michigan where he worked as a free-lance artist for many of the largest art studios. Since 1968 he has maintained a studio at the Scarab Club of Detroit and has devoted himself exclusively to fine arts and portraiture. He has twice served as President of the Scarab Club with many years on its Board of Directors. In the early 1980s Maniscalco organized artists nationwide to demonstrate against estate tax treatment of all creative people – painters, composers, writers etc. The law stipulates that all unsold works of art, musical compositions, novels, etc, remaining in an estate would be evaluated at “fair market value” for estate tax purposes in contrast to those same works being evaluated at “cost of materials” when donated by the artist to non-profit organizations. This double standard arose when in 1973 the tax laws were changed – in response to Nixon’s donating his papers to his own library and taking an exceptionally high deduction. Presently, congress is considering changing these unfair tax laws. Throughout his career, Maniscalco had a number of one-man shows in which he exhibited portraits and paintings from over a thousand private and public collections throughout the world. His subjects included figures from families, universities, corporate and banking institutions, hospitals, government and sports. Among his commissioned portraits were Chief-Justices of the Michigan Supreme Court Mary Coleman, Dorothy Comstock Riley and Thomas Brennan. Other Justices include United States Court of Appeals Judge James Ryan and former United States Senator from Michigan, Robert Griffin. Hanging in the Capitol Building in Washington, D.C. are Congressmen William Ford from Michigan, Augustus Hawkins from California and William Clay from Missouri. Other subjects are Dr. Fred Cummings, former Director of the Detroit Institute of Arts, Dr. Robert Warner, Director of the National Archives in Washington D.C., Gordie Howe, legendary hockey player and Dr. Michael Smurfit, Chairman of Jefferson Smurfit Corporation, Dublin, Ireland. 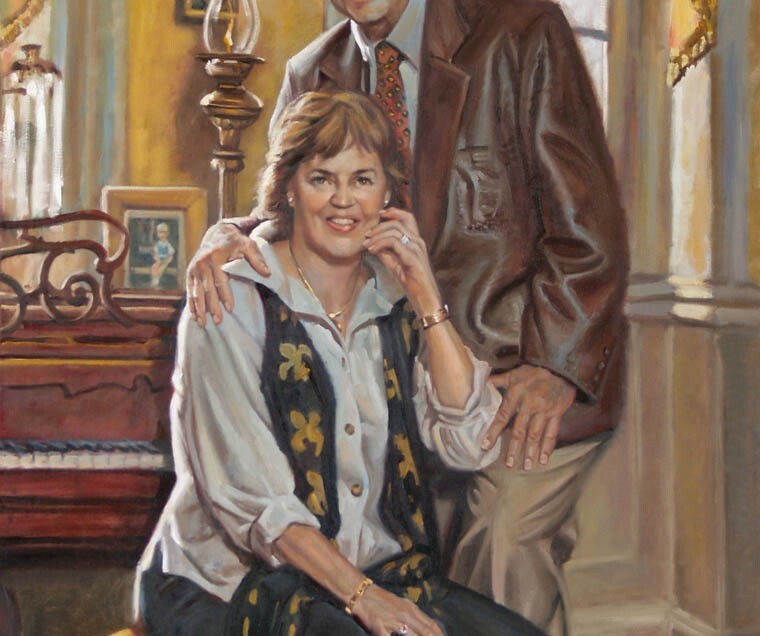 Later commissions included portraits of Dr. Diether Haenicke, retired president of Western Michigan University, Congressman John D. Dingell, which hangs in the Veterans Memorial Hospital in the Detroit Medical Center and Steve Yzerman, captain of the Red Wings hockey team. Among his many awards are three Gold Medals at the annual Scarab Club Gold Medal exhibition and first prize at its annual Silver Medal Show, the Fitch award from the annual exhibition of the Michigan Academy of Letters, Arts and Science. He was frequently called upon to judge art exhibitions, conduct seminars, lecture and demonstrate the art of portrait painting. He mentored a number of successful artists and his influence as an expressive realist continues today. In addition to enjoying his reputation as a leading portrait painter, he was known for his paintings of a wide variety of subject matter, including still life, landscape and non-commissioned character portrait studies. He has also produced a large body of western art and has been widely collected through galleries in Arizona. 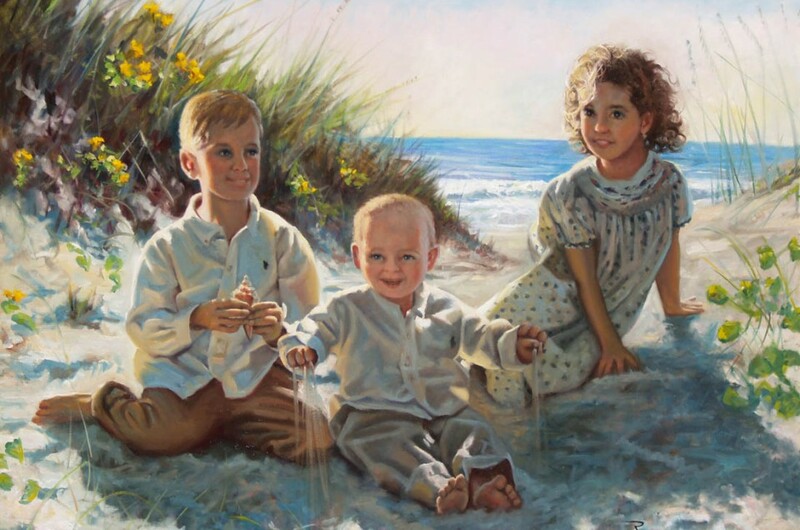 Please send me the image at robert@maniscalcogallery.com so I can determine if it was painted by my father, Joseph Maniscalco.